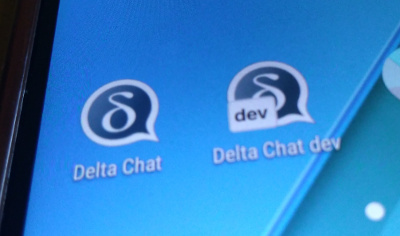 We’re currently working on a new Android App for Delta Chat, android-dev. The new App recreates the UI, however, the core mainly stays unchanged; the same core is used for deltachat-desktop and deltachat-ios, btw. The reason for this rewrite is that the existing ui code, which is based on another popular messenger, uses non-standard programming methods in many cases. This makes it hard to maintain and to enhance, especially for new contributors. While we’ll get a much better source base by this step, we also take this as a chance to improve many things in the new UI, eg. Many of these points are not yet completely finished, however, it’s on it’s way and there is a fast progress, every day. We’ll add another post to this blog if we have a more or less feature-complete beta-version. If you can’t wait, you’ll find a preview-version at https://github.com/deltachat/deltachat-android-ii/releases/ (we’ll also upload new APKs every few days there). Please note that this version is not even “alpha” - use at your own risk and please give feedback to github, not to the user-support forum.